George G. Keith graduated from Kent State University in 1979 with a degree in Political Science. Mr. Keith went on to Cleveland Marshall College of Law and graduated with his Juris Doctorate in 1982. Mr. Keith was employed by the Portage County Juvenile Court from 1980-83, then moved on to the Portage County Prosecutors office until 1985. Then Mr. Keith moved over to the defense side when he took a position with the Portage County Public defender’s office until 1986. Mr. Keith then went into private practice in 1986 in Cuyahoga Falls where he continues to practice. Mr. Keith is a member of the National Association of Criminal Defense Lawyers (NACDL) and was designated as an Ohio Super Lawyer and as one of America’s Best Lawyers. During his career, Mr. Keith has tried in excess of two hundred (200) jury trials, at both the State and Federal Level. 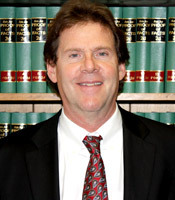 Mr. Keith has represented clients on a wide variety of cases; from speeding tickets to Capital Murder cases. Mr. Keith currently is licensed to practice in Ohio State Court and Federal Court for the Northern District. Mr. Keith practice is focused solely on Criminal Defense in Summit, Portage, Medina, Stark and Wayne Counties. ©2016 – 2017 Stand Sure. All rights reserved.